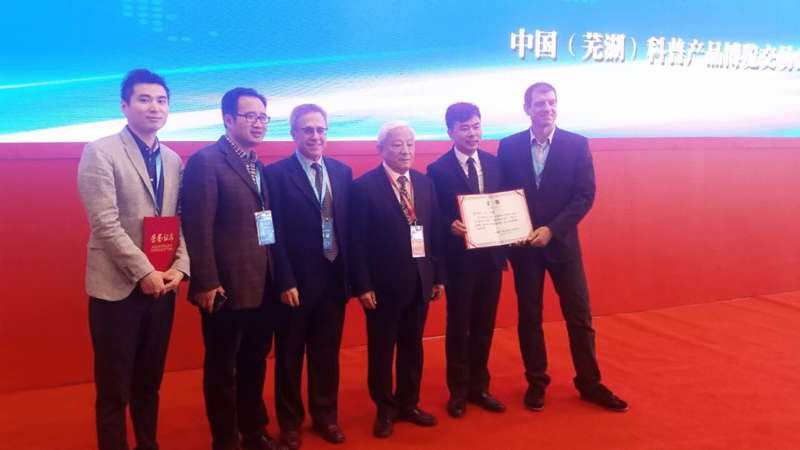 The Israel and US-based tech company EyeClick has won the gold at China’s 7th annual Popular Science Products Fair for its flagship tech product and virtual game system, BEAM. The Popular Science Products Fair, which went from the 11th to the 13th of November, featured over 400 technology and science companies from over 20 countries around the globe, and is one of the largest fairs of its kind in China. The BEAM console is a new kind of game systems which combines projectors with motions sensors to create a “virtual playground” complete with interactive functionality. Thousands of companies around the world have installed BEAM, including some of the world’s most recognized brands—from McDonald’s and Burger King to Virgin and Verizon to IKEA and Samsung. BEAM’s rapid rise from a 2005 tech product to a globally recognized brand is in large part due to EyeClick’s worldwide marketing efforts. The company has installed thousands of BEAM game systems across 80 different countries, with more planned in the coming years. Its presence in China, therefore, comes as no surprise to individuals following the company’s movements. Please contact Paul Zonis at 914-219-0279 or media@eyeclick.com for more information about BEAM, EyeClick, and this press release.